I was in Nice a couple of months ago and, because I had the car with me, I stopped by La Part des Anges, a well-known wine shop filled-to-bursting with natural wines, to stock up. Harvest 2018 is well underway and it’s looking like one of the very best years in recent memory for winemakers across most of Italy and France. Despite a worrying amount of rain in the springtime and outbreaks of mildew/peronospora, the summer was hot, constant and mercifully allowed the grapes to come to maturity. Largely because of last year’s frost but also because of this year’s gentle flowering season, the vines have produced a much larger quantity of grapes than usual. So much so that winemakers have more grapes than they know what to do with! My boyfriend’s phone keeps ringing with nearby growers trying to sell him grapes because their cellar is already full. Theirs is full to the brim too! Stamping down on the grapes in order to fit them all into the press! Today, Monday 24th September, the cantina sociale of Gambellara (a small town near Soave) didn’t open its doors to its members because it needed a day of downtime to sort and make space. It has been completely overloaded and it’s not the only one. It’s not hard to imagine how busy the cooperatives are when you watch the video below showing the street leading to one of the Prosecco coops. A traffic jam of tractors!! There’s another video which has gone viral because it shows a man machine-harvesting his grapes but leaving them on the ground. “You realise this is a sacrilege,” the guy filming says to the driver of the tractor. Better than seeing them rot on the plant, is the unsaid message. One of the consequences of having so many grapes on the plant is that the sugar levels remain relatively or unacceptably (depending on your point of view) low. We’ve heard of prosecco vineyards near us which were harvested two weeks ago (i.e. early September) but which only yielded a sugar level of between 9 and 12 babo. That means between 6 and 9% potential alcohol. Insane. What can you do? Well, like many quality winemakers, in the summer, you do what is called green harvesting. In some of Angiolino Maule’s vineyards, he removes 50% of his grape bunches in late June/July when he’s got an idea of how the year is going. Crop thinning allows you to manage the yields better; you lose quantity but you gain quality, sugar and complexity in both the grapes and in the resulting wine. Alternatively, you can do what we know some conventional producers in Soave are doing this year: reverse osmosis. * In this case, you keep as many grapes on the plant as possible but once the grapes have been brought into the cellar and are being vinified, you pass the must through a membrane which separates some of the water content and allows you to concentrate the sugar. All the quantity and now a wine which you can bottle at an acceptable 12% ABV. Where I am (in the Veneto, Italy) we’ve just about finished 40% of our harvest…. and we’ve been harvesting since the last few days of August. It’ll be at least another (long) three weeks until we’ve brought the last of the grapes into the cellar. * n.b. I know that reverse osmosis is more commonly used for reducing alcohol content, but unless I’m mistaken, it can also be used for increasing the ABV. If you haven’t already heard, Stefano Bellotti, winemaker and biodynamic guru from Novi Ligure in Piedmont, sadly passed away last week. What he suspected to be a dodgy oyster turned out to be pancreatic cancer and it was to prove fatal. Stefano was a hugely important figure to me, as he was to many other people in the industry. (Read the Kevin McKenna and Jules Dressner’s touching blog post here.) If you’ll allow me to indulge in a touch of nostalgia, I’ll explain how I met Stefano and how he changed, irrefutably, the path of my career. I first met Stefano in 2012. We were at a small “Triple A” wine tasting in Paris, pouring from behind adjacent tables. I don’t remember precisely if it was the first time I tried his wines (it was almost certainly the first time I tried the more complex cuvées, not just Semplicemente Vino) but I do remember that I didn’t understand these wines. There was something edgy, different and uncompromising about them. Stefano and his wines are much alike. If you stick your nose in too quickly and ask too many questions, both the man and the wine close up. If you allow them time, gain familiarity, and return repeatedly, you start to not just understand but also warm to them. We met each year at the Renaissance tastings in the Loire until on one occasion which will remain engraved in my mind forever, I tell Stefano that I’m going freelance. It’s because of his “je te prends tout de suite” that I also met Dettori, and through them that I met Filippi, and through that connection that I’m where I am today. At the Paris launch of “Natural Resistance.” Photo: Bertrand Celce / Wine Terroirs, 2014. From Stanko Radikon (of whom I will forever have the image of him beaming in sheer joy, because of the novelty of sitting in the passenger seat of my English car), to Beppe Rinaldi, over to Ernesto Cattel, and now Stefano, this has been a rough year for us earth-dwellers but there’s definitely one massive party happening in the after-life. RIP Stefano. I just hope there’s enough soil and biodiversity in heaven for you not to get bored. My alarm clock seemed louder than ever this morning. I got back from Paris late last night and having enjoyed every baguette crumb, every bite of cheese and every drop of wine, I was running a high sleep deficit. The alarm sounded at 6.30am. Half an hour later, I was standing at the top of a vineyard, secateurs in hand, admiring the view down the Val d’Alpone and over to the Soave hills. We were picking garganega grapes for our recioto today. The Recioto di Gambellara is a traditional dessert wine made in my adoptive town by letting the grape bunches dry out over a period of about 4 months. Gambellara’s Recioto is not like other passito or straw-wines, because we hang our grapes on vertical nets…… which is exactly what we then spent the afternoon doing! 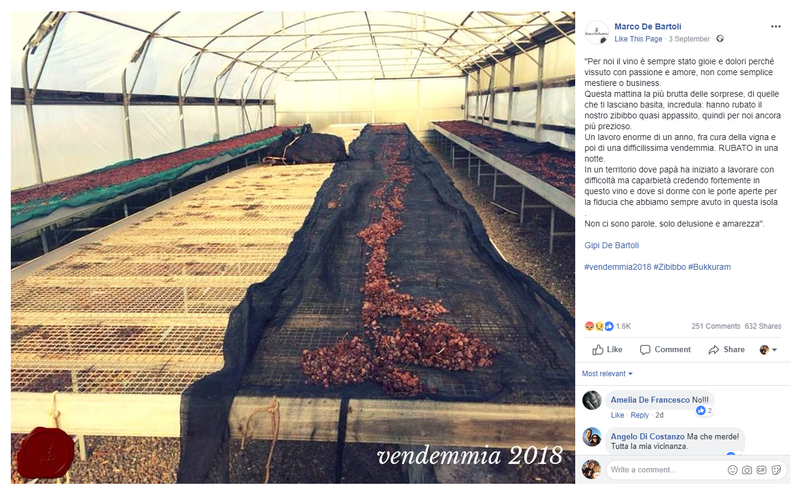 Brutal as my wake-up call was this morning, it is nothing compared to the shock, 3 days ago, when the De Bartoli family in Sicily discovered that someone broken into their winery during the night and stolen 600kg of passito grapes. Screenshot of their Facebook post. Click for full-screen. Who Will Take Forward The Costadilà Winery ? For every action there is an equal and opposite reaction. Isaac Newton’s third law remains as true today as it was when it was first written 300 years ago. Because it’s very easy to get distracted by all the Prosecco merchandising on Pinterest and Facebook, you might have missed the underground resistance movement which is Prosecco col fondo. Only a handful of winemakers held out against the advances in technology and the ease of producing good (but generic) wine that the arrival of Charmat (tank) method permitted. 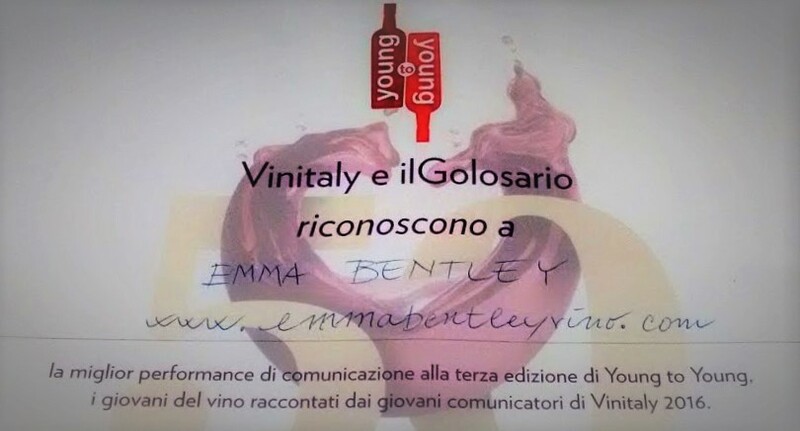 Instead, they continued to allow the wine to referment in its bottle and didn’t degorge or decant – col fondo. The Costadilà winery started in 2006 as a wine-child of a group of friends, who wanted to protect and propagate this col fondo tradition. Their philosophy – single vineyards at varied elevations, indigenous yeasts, no added sulfur – was an instant success. They were sold through the most reputable of natural wine distributors (Velier in Italy, LMDW in France and Louis Dressner in the USA) and I saw personally how their wines took Paris’ most pioneering restaurants and wine bars by storm. It was THE col fondo Prosecco in Paris and the Costadilà wines opened the door to other atypical wines in these second-wave bistronomy establishments. That I hadn’t written about the Costadilà winery on this blog before was a deliberate omission. I had a visit scheduled with Ernesto Cattel (the man behind these enigmatic wines) in March 2015, to meet in a café just off the Vittorio Veneto Autostrada but I waited an hour just to realise that I’d been stood up. This morning, like most mornings, I scroll through Facebook to see what’s been going on and woefully, I learn that Ernesto, after a battle with cancer, has died. I mentioned before that the Costadilà brand (the real company name is actually Ederlezi) is made up of a group of similarly-minded wine folk. At the beginning, they all had full-time jobs and this was just a side-project. Ernesto was the one to give up his day job and throw all the hours in the day into making and selling these bubbles. But, with Ernesto’s sad quietus, will one of the other partners step forward to take the winery forward? Or will they bring in someone from outside and how would that affect the company’s dynamic? The loss of Ernesto means one less proponent of a style of wine that I’ve come to love.